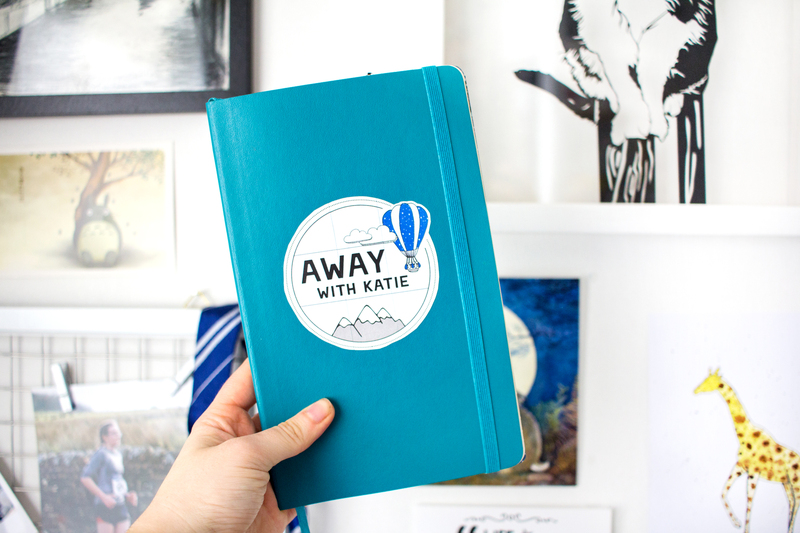 A blogger bullet journal – anyone still using one? They blew up last year within the blogging community, and I’m not sure how many are still using them, but I for one love using this method of planning/note keeping for blogging. 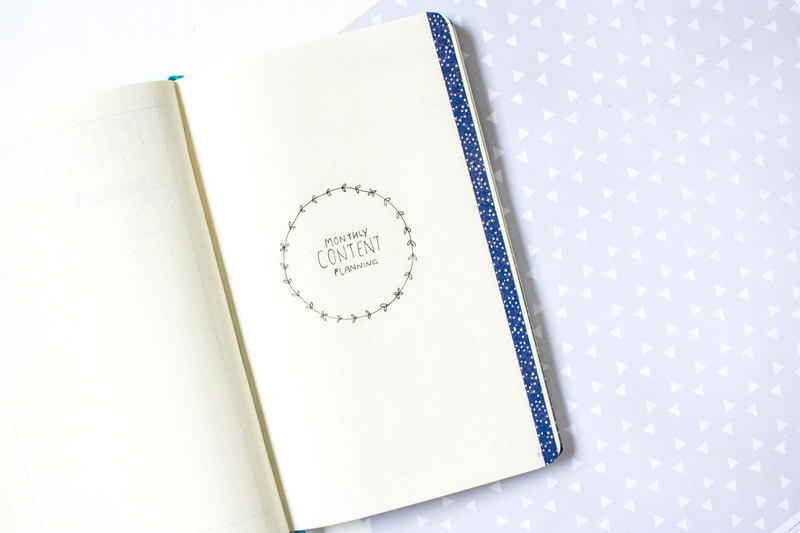 My blogger bullet journal is a place where I keep notes of everything that could relate to my blog, from general information, to stats, to ideas, to content plans, to events and so much more. It means I can easily track everything or find a piece of information that I may need without having to be on my pc all the time. With so many different styles of bullet journal out there, it’s super simple to make one fit to your needs. That’s what I’ve done with mine. It’s not quite a bullet journal in the traditional sense, in that I don’t actually use it as a daily diary. 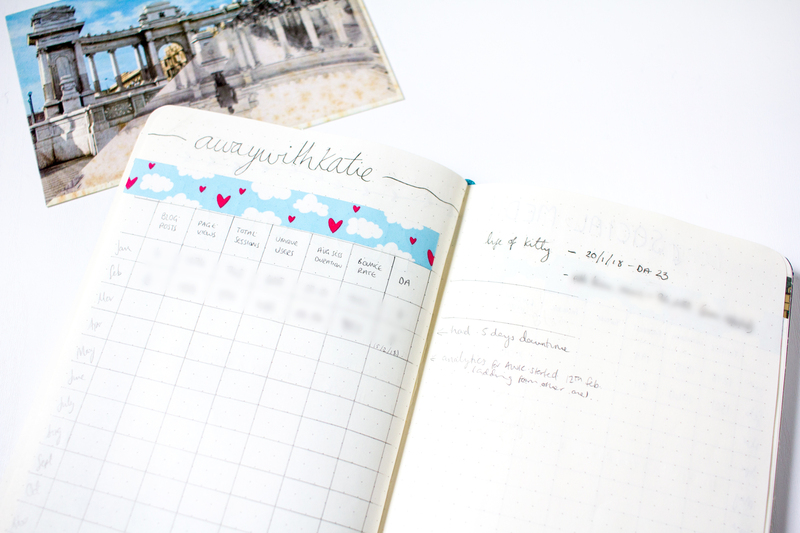 I have however taken many of the finer details of bullet journalling and made them fit to a blogger bullet journal. One of the main differences about bullet journals compared to regular diaries is the inclusion of ‘collections’. These are generally notes or list pages that appear randomly throughout the planner when things need to be noted down. 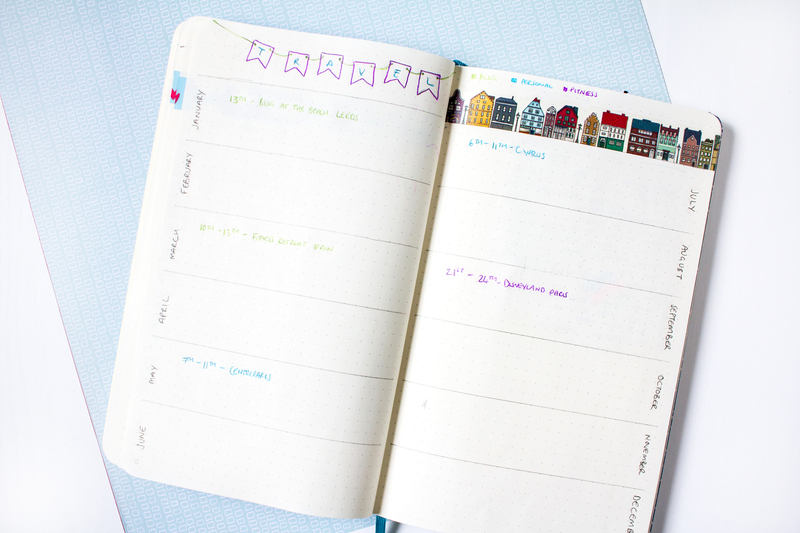 My blogger bullet journal is basically a planner of collections, if you like. 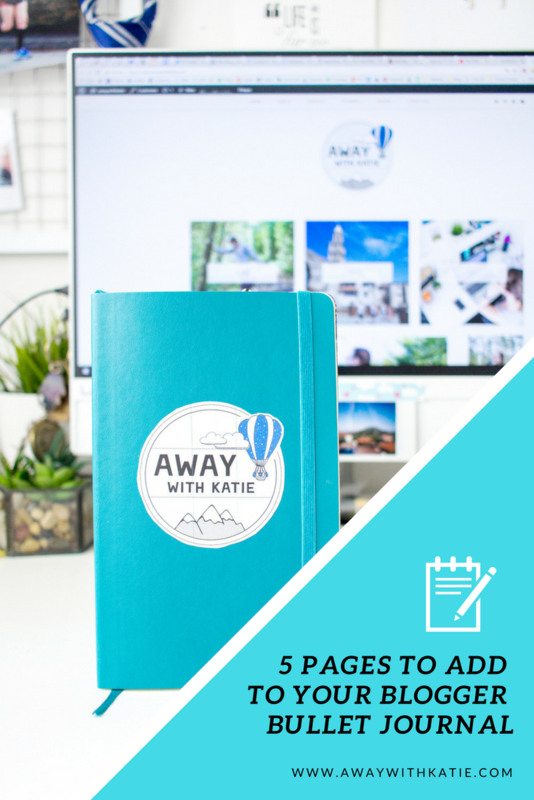 Here are 5 pages that I believe are pretty useful for bloggers. This is a great page to start the bullet journal off with. Most people will have a general idea of what they want to achieve with blogging, whether that’s for the long-term or just for shorter time periods. Writing them down and having them in your notebook keeps them visible as you’ll constantly be flicking past them. I for one am someone who loves to set a few goals as they help to give me something to work towards. 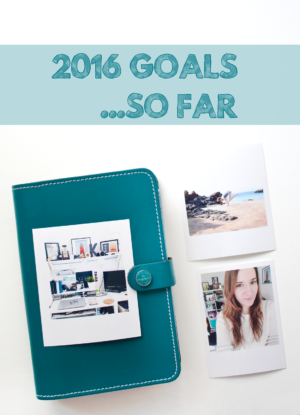 You could also do a monthly blog goal page as you move throughout the year, depending on what works best for you. Not everyone tracks their numbers but if you do, writing them down is key to seeing how you are actually improving each month. 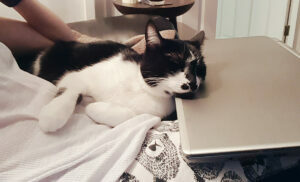 Many will keep them in a document on their computers and I tried this too. I found that I rarely looked at them and I forgot to update them at the beginning of each month. With them written down, they seem more memorable in a way. It’s also easy to flick to when you need a quick stat compared to finding the right file and opening it up. I like to track stats from Google Analytics and I track how all my social media accounts are growing. Blogging isn’t ALL about the numbers but if you do want to apply for opportunities or sponsored posts then you know, stats are important to these brands. I have a monthly spread where I have written in my big trips/events for each month. This gives a month at a glance view of what’s happening throughout the year, similar to the idea of having a future log in a regular bullet journal. Here I have included the travel trips that I have booked so I can see exactly how busy each month is going to be, and in actual fact it just shows me how quiet some months will be! 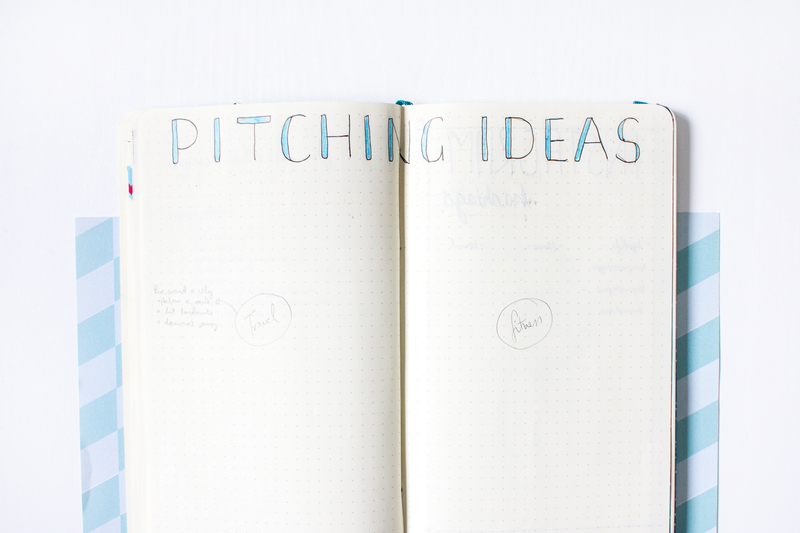 This totally depends on what you are trying to do with your blog, but I think creating a pitching ideas spread is great for noting down random thoughts or ideas that come to you. Pitching can be difficult if you don’t have a proper idea formed. After going to the Blog at the Beach event and hearing Kirsty’s talk on how to pitch, I knew I needed to get some good thought behind whatever I wanted to do in the future and by having this page I can write down ideas to go back to. If working with brands is something that you want to do in the future then I would definitely advise creating a spread like this! 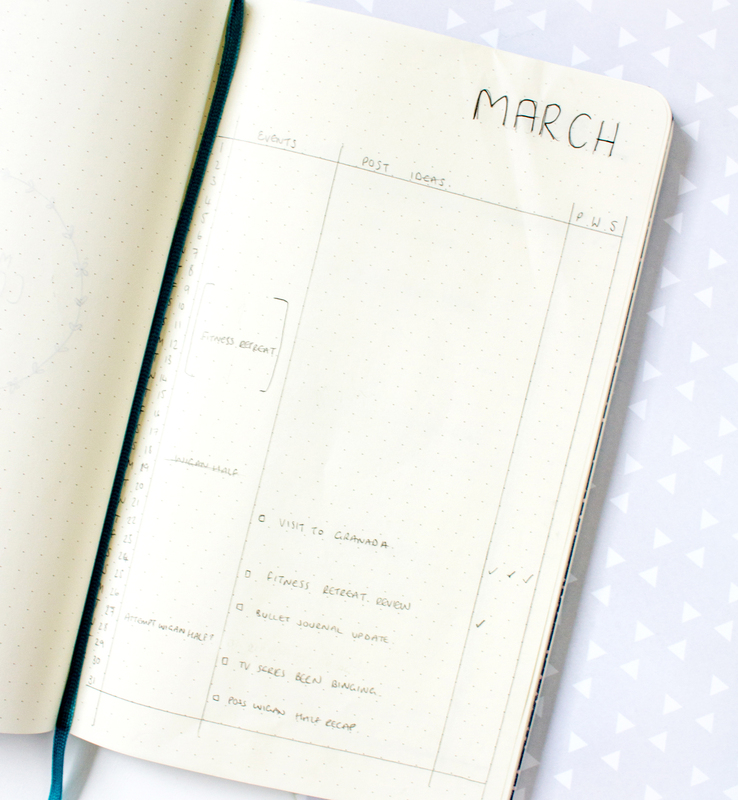 My favourite section of this blog planner is the monthly content planner area. I had been trying to plan future content in advance within an excel spreadsheet but it just wasn’t working for me. I like to write things down and I always have random pieces of paper filled with notes to be added into this planner when I get home to it. So I figured why not try to create a monthly content planner in this bullet journal to easily track what I want to write about, and what is actually happening each month too. I counted out one page for each month and then added a ‘front’ and ‘back’ to those. 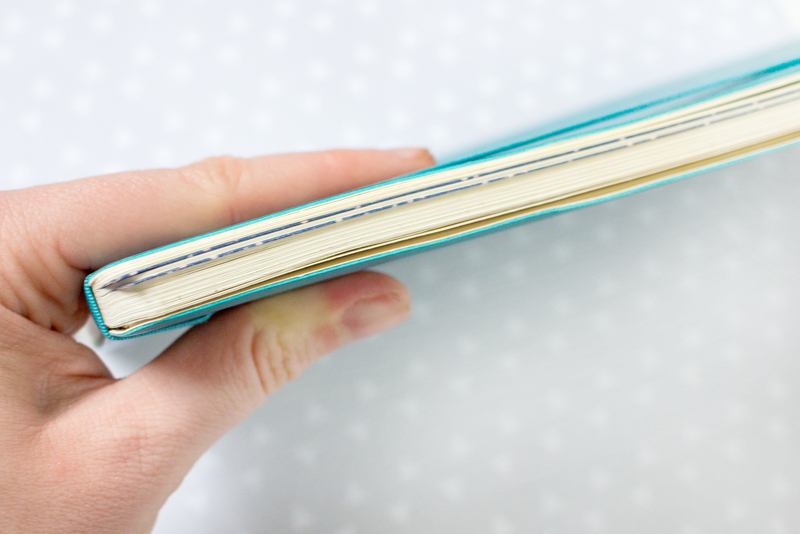 On these pages I added a strip of dark washi tape to the outer edge of the paper, creating a more obvious section. This means I can easily glance at the planner and see exactly where my content planning pages are. And it looks pretty neat too! (You can see that a little better in the photo below) I only started it from March onwards, so it’s not quite as full as it would be for a full 12 months. On each page I jotted down the days/dates and then created three sections. One for events, one for blog post ideas and then one for ticking whether it has been written, photographed or scheduled. I like having the events section because I can see what I’m doing that month and time posts from that. So in March for example, I was on a fitness retreat from the 10th – 13th, so I pencilled in blog post ideas relating to that trip for the week after. 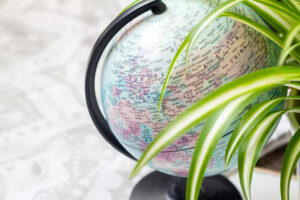 I’ve also been able to add in future trips and plan ahead blog posts relating to those for the weeks following. Like when I go to Cyprus in July for example. It just makes content planning flow that little bit easier for me. That’s not to say I’m always on top of things – getting ideas actually written is another story! 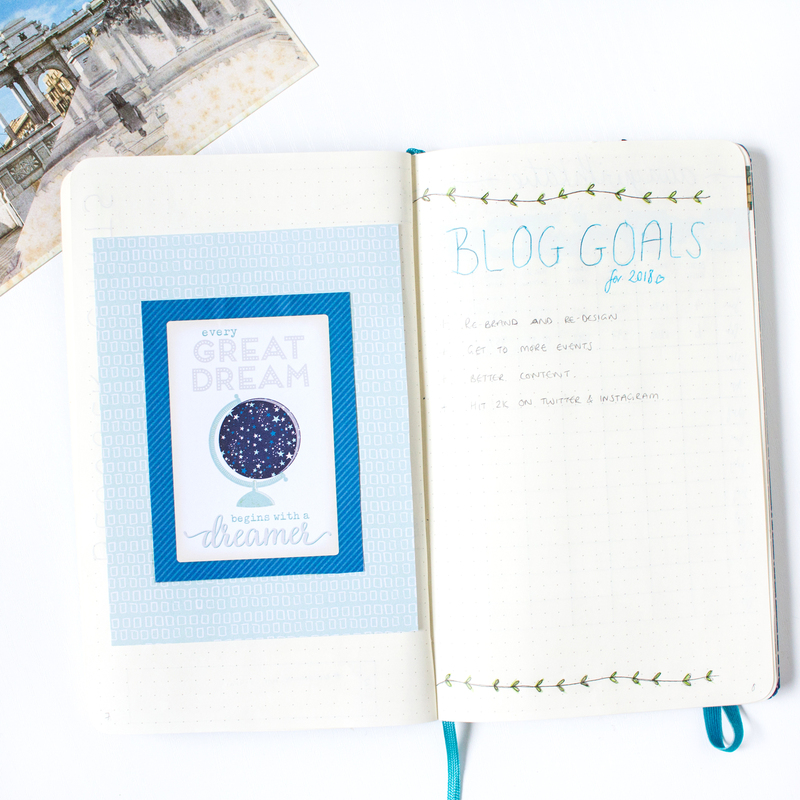 Do you have a blogging planner, or are you a digital kind of person?